(London) – Principal Real Estate Europe today announces that it has signed three leases on ca. 2,414 sq m of office space at the Quinta da Fonte Business Centre located in Oeiras, Lisbon. 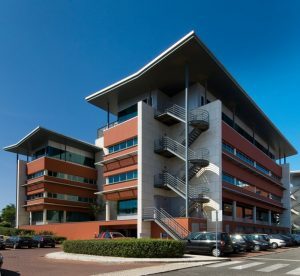 Fullsix Portugal, an independent marketing and communications group, has signed a five-year lease on 1,715 sq m of office space. Ingram Micro, a distributor of information technology products, has signed a five-year lease on 429 sq m of space and Athlon, providers of vehicle leasing, has signed a five-year lease on 270 sq m of space at the prime office business park. Quinta da Fonte Business Centre comprises around 80,000 sq m of lettable space located in Parco De Arcos, one of Europe’s largest business parks, in an area that is popular with multinational IT and communications companies. The park also includes underground parking, on-site restaurants and a health club. Principal Real Estate Europe was advised on the transaction by CBRE and Savills Aguirre Newman. Principal Real Estate Europe is part of Principal Financial Group’s dedicated real estate business, Principal Real Estate Investors, which manages or sub-advises $77.0 billion in real estate assets globally (as of March 31, 2018). In Europe, Principal Real Estate operates from offices in London, Frankfurt, Amsterdam, Paris, Lisbon, Luxembourg, Madrid and Milan, employing more than 100 staff who manage real estate across all asset classes in nine different countries. Principal Global Investors is a diversified asset management organization and a member of Principal, with expertise in equities, fixed income and real estate investments, as well as specialized overlay and advisory services. Principal Global Investors manages approximately $445.1 billion in assets primarily for retirement plans and other institutional clients (as of March 31, 2018). To find out more, visit us at principalglobal.com.